Videos : Sean Avery unloads on Jake DeBrusk and calls out Auston Matthews after Game 2. Avery does not hold back. One of the National Hockey League most controversial figures has just stepped right into the middle of a controversy once again, and he's going to be making one particular fan base very, very, angry. 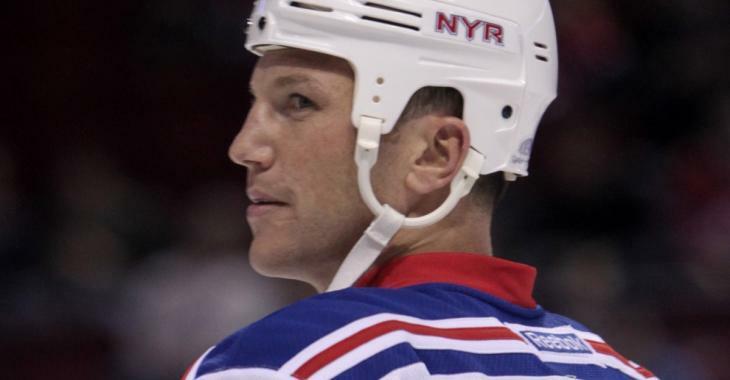 I am of course referring to notorious former New York Rangers agitator Sean Avery who has seemingly been commenting more and more on hockey as of late, and this time around his focus is on Game 2 of the first round series between the Boston Bruins and the Toronto Male Leafs in the 2019 Stanley Cup Playoffs. Now there was plenty of controversy in that game on Saturday night and Avery touched on a number of those topics, but the focus of his ire was clearly young Boston Bruins forward Jake DeBrusk. Avery absolutely unloaded on the young member of the Bruins roster calling him "dirty" multiple times during his commentary and even throwing in a "greasy" in there once or twice. Avery seemed to take particular issue with a dangerous, albeit clean, hit from Jake DeBrusk in the game's third period, one that resulted in a very dangerous sequence for Toronto Maple Leafs veteran Patrick Marleau. The hit from DeBrusk was a clean one but it also put Marleau dangerously near the partition for the glass on the ice, resulting in him running into like some kind of turnbuckle. Marleau appeared to be ok after the hit but you could easily see how it could have put Marleau in serious danger and Avery felt that a guy with "over 20 years in the league" should not be treated in such a manner. There was of course the issue of a vicious crosscheck delivered in the third period from Toronto Maple Leafs forward Nazem Kadri to that very same Jake DeBrusk immediately following the hit on Marleau. Perhaps unsurprisngly given his feelings about the hit on Marleau, Avery took no issue with Kadri's crosscheck other than to suggest it was a shame that Kadri had not knocked out DeBrusk's entire front row of teeth. There was one more very interesting piece of Avery's little commentary however, and it was directed at a player who has been almost invisible in this series, Leafs forward Auston Matthews. Avery challenged Matthews to go after DeBrusk in Game 3 and drop the gloves to set the tone for his Maple Leafs. I for one would love to see DeBrusk vs Matthews, but I would be shocked if it happened.